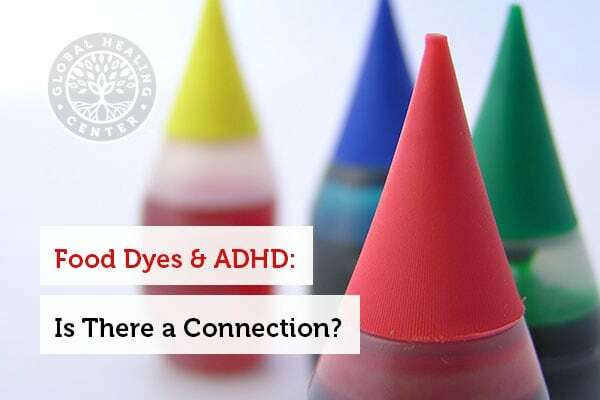 Food Dyes and ADHD: Is There A Connection? Before you feed your child that pack of brightly-colored gummy bears, you may want to think again. Your children may love the fun colors of those sweet, chewy morsels, but most are laced with toxic food dyes. 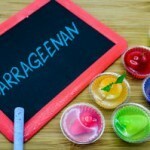 According to a report from the Center for Science in the Public Interest, studies done on food dyes have found a connection between multiple health imbalances, as well as ADHD (Attention Deficit Hyperactivity Disorder) in children. The food dyes covered in the report are Blue Numbers 1 & 2, Citrus Red 2, Green 3, Red 3 & 40, and Yellow 5 & 6. According to the United States Food & Drug Administration, more than 3,000 substances (including dyes and colorants) are added to foods in the United States, and many of these have not been fully tested for safety. These substances include preservatives, stabilizers, emulsifiers, nutrients for enrichment, and colors. Natural foods without added chemicals are always a superior choice for optimal health and wellness. Food dyes change the color of food but add no health benefits. What’s more, food dyes very well may have toxic effects on behavior and overall health, especially for children. In the United States, manufacturers are not required to include any warning even though these same potentially neurotoxic food dyes are sold in foods.The FDA has looked into the safety of some of these nine dyes and other ingredients, but even when they have publicly investigated and reported a health concern, they still have not moved to ban them. Case in point: the FDA recognized that Red No. 3 caused thyroid cancer in animals and has banned Red No. 3 "lakes" (dyes that are not soluble and used in low-moisture foods) and in cosmetics, but still allows them in foods and drugs. Why the discrepancy, FDA? You can eat some Red No. 3 dye today in a maraschino cherry, sausage casing, or candies (However, we recommend not). What is more, every year, food production companies are adding more and more chemicals and dyes to our food to innovate and stimulate new potential markets – namely, children. Bernard Weiss, the late professor of Environmental Medicine at the University of Rochester Medical Center has expressed frustration that the FDA has not acted on ample research despite a connection between behavioral issues and food dyes. Weiss joined a national debate on the issue, and as a result of this national conversation, some companies changed to more natural food colors. One example: in 2015 Kraft replaced harmful Yellow Numbers 5 and 6 with turmeric and paprika spices to color their famous macaroni and cheese. "When an activity raises threats of harm to human health or the environment, precautionary measures should be taken even if some cause and effect relationships are not fully established scientifically"
Blue 1 Research has suggested this food coloring poses a small cancer risk and is linked to kidney tumors in mice; however more testing is needed. Other studies have linked it with nerve problems. Blue No. 2 Commonly used to color drinks candy, and baked goods, this dye has been linked to brain glioma tumors in male rats. Despite the research, the FDA has stated that Blue 2 has a "reasonable certainty of no harm," although the Center for Science in the Public Interest says that it should be banned from foods. Red No. 3 The bright red dye was banned in 1990 by the FDA for use in cosmetics and other productsy but is still allowed in foods and drugs. It is commonly found in maraschino cherries, sausage casings, and margarita mix. 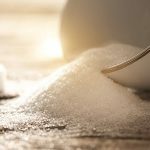 It has been shown to cause thyroid tumors and cancer in rats. Red No. 40 The food coloring is one of the most commonly used dyes Red 40 may cause allergy-like reactions, and may trigger hyperactivity in children. CSPI believes that since healthy, natural alternatives exist, it should be banned. Yellow No. 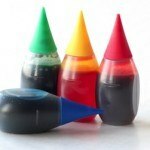 5 This is the second most commonly-used food dye on the market. Research has shown that it may actually trigger hyperactivity in children, as well as cause allergy-like hypersensitivity reactions. It's also important to note that this dye is sometimes contaminated with cancer-causing substances. Yellow No. 6 Can be found in everything from hot dogs to gelatin and has been shown to contain carcinogens, and may have a relationship to adrenal and kidney malfunction. Green No. 3 This food coloring is not widely used anymore, but research has linked it to tumors in the bladder and testes of rats. The FDA also considers this one to be safe, and it can be found in candy and beverages. How do we create these bright food dyes that go into so many boxed, bagged and canned foods? It may surprise you to learn that dyes are made up of some pretty disgusting chemical combinations, including benzidine, 4-aminobiphenyl, and even synthesized petroleum by-products. "If something is safe, easy, cheap and sensible to do, you don't need as much evidence to take action. In this case, the action would be to remove artificial food dyes from foods targeted to kids. Dyes are not an essential food group. We have an obesity epidemic; it's not necessary to make food more attractive. The sole purpose of the dyes is to make food more attractive." After reading about the slow movement of the FDA on food dyes, you may want to throw up your hands in frustration. But you have more power than you think. 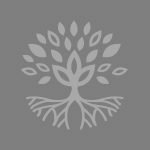 Your purchasing power – what you spend your money on and what you don’t – has a big influence on companies. Do your research. Learn how to read food labels, and learn what those ingredients are in the foods you buy. Avoid ones that have toxic food coloring, as well as preservatives and other unnecessary additives. Better yet, buy more natural, unprocessed foods. Stores even add food dyes to red meats to keep them looking fresh, so be aware of these issues. Organic products have more regulations they must follow and are healthier options – but they still may contain food dyes. Beyond your purchasing power, you can write letters to companies or your government representatives to let them know your thoughts on these matters. And companies do respond to consumer pressure, whether spearheaded by small grassroots mom and pop organizations or larger nonprofits. Companies may claim that it’s too costly or difficult to change their food manufacturing processes, but these arguments are hollow. The truth is that food companies have easily adapted to changing markets in Europe. Kellogg’s, McDonald’s, Nestle and Kraft all have versions of the same products in the UK and Europe that use natural food colors, yet in the U.S. they still sell the versions with toxic dyes.. Inform yourself about what is in your food. Eat organic foods, drink purified water, read the labels on all foods you buy and cleanse your body regularly. And, to learn more about the "Rainbow of Risks," I recommend reading this PDF report  from the Center of Science in the Public Interest. It will give you even more in-depth information about which food dyes you should avoid and why. What are your thoughts? Do you think there's a connection between food dyes and ADHD? Let's hear your thoughts in the comments below!